They just won't work! Fans just won't buy into it! These are among the sentiments that fans will hear when the possibility of heels facing off against one another is proposed. To some extent, in order to be emotionally invested in a match, you have to have a character you care about in there. In order for them to tell a compelling story. 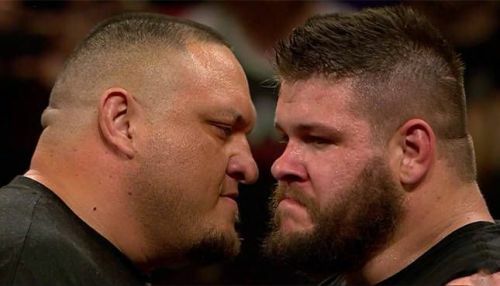 Typically in WWE matches, one combatant will be a heel and the other will be a face. In a heel vs heel match up, the challenge is to keep true to themselves and be as dastardly as possible. It would certainly be a case of who would could out heel the other. However, if given some thought, a match could be constructed to be a case of the bad squaring off with the worst. What meetings of villains would fans consider to be effective battles? Fans can be assured of one thing: all involved in these proposed match ups are talented workers who are extraordinary at what they do. Here are the 5 of the best heel versus heel matches in the WWE. One is an artist and the other is a beast. While they haven't met in WWE before, these two men squared off against one another during their time in New Japan Pro Wrestling. 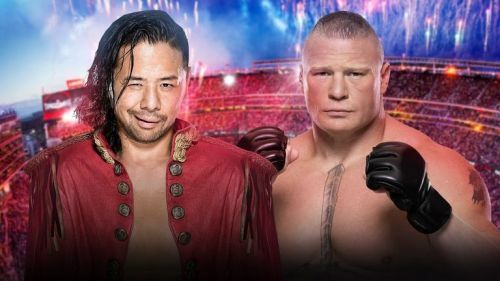 The constant low blows that Nakamura has resorted to of late could prove to be an equalizer against the clearly bigger Lesnar; The Undertaker certainly used that strategy effectively in the past. How would these two heels face-off against one another? If they remain true to their characters and allow their heelish tendencies to take over, it could be a very interesting contest. Nakamura's weaselly nature could definitely get the ire of Lesnar. Would that make Lesnar a face or simply a provoked tweener hell-bent on revenge? Lesnar is just as capable of taking advantage of a situation and using whatever means necessary to get the lead in a match. This could also prove to be one of the hardest hitting matches in the company's history. For it to be anything less than violent would be a surprise.